Artists: Antonio Bokel, Gabriela Maciel, Gioia di Girolamo, Maurizio Vicerè, Ivan Divanto, Patric Sandri, Paulo Arraiano, Paulo Ávila Sousa. Are we living in a rupture of time? Time ruptures the earth, establishes its tectonic movements, over millions of years slowly transformed its shape; new worlds were discovered, from the guts of the ocean new islands were born. Nature keeps its pace, season by season, it sprouts, it blooms, it dries, it dies, and the cycle is repeated again. Time and nature reckon duration, with their mutual patience; for millions of years they walked side by side. The industrial revolution changed the rhythm of production while creating urban dynamics. Ultimately, technology – emails and social media – both as a professional or a leisure tool completely altered the paradigm of time. The time of day – as a solar cycle – became obsolete as information resurfaces at any moment in a global wave, hatching out from our devices without a schedule. So how does human curiosity cope with this fast-paced mode of integration? How can the idea of being updated and “not missing a thing” be synchronized with the body’s clock? Perhaps Apple watches and the number of health applications are trying to answer these questions, telling us when to sleep, when to exercise, when to eat, when to work. But are they really a solution or are these just new systems of consumerism control? Perhaps these are the predicted robots of the ‘60s imagery. Instead of walking tin can machines we are letting ourselves become controlled robot devices. Re_act Contemporary Art Laboratory was created in an attempt to address ideas of virtuality, materiality, and time. 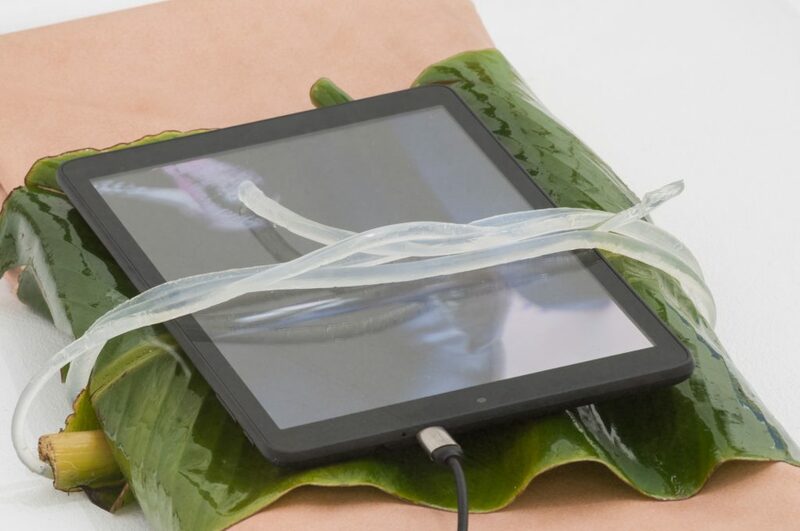 Situated on a volcanic island midway between Europe and the United States – Terceira Island, in the Azores archipelago – the residency and resulting exhibition were commissioned by DRAC and co-curated by no.stereo and TAL Projects at MAH (Museu of Angra do Heroísmo). The immersion of artists in this island – a piece of land 30 km by 19 km long with a population of 56,000 inhabitants – was paramount to the laboratory’s transversal ideas of deceleration and return to a telluric state. The result of the laboratory was the exhibition “Matter / Non_Matter,” an idea that glues the entire thinking process together – the increasingly noisy materiality of the urbanscapes versus the vaporous minimal island life, the fast-paced contemporaneity versus the looseness of time, the previous virtual contact of the artists and the opportunity of a physical encounter. “Matter / Non_Matter” shows the certainty that the alteration of context, time, and place is key to a change of mindset and artistic process. Each artist was drawn to specific experiences of the island – geography, anthropology, the legend and the sacred, the uncontrollable and the sublime. The selected group of artists was diverse both geographically and in their artistic approach. This strengthened the possibility of crossing elements of the insular paradigm and the current artist’s practice influenced by an urban environment or by a postdigital perspective. As mentioned by Antonio Bokel, there is a need to let go of the burden of materiality. The artist’s video – a black balloon launched from the Island in the direction of his home, Brazil – reveals the awareness of a long path to dispossession in its weightless result. 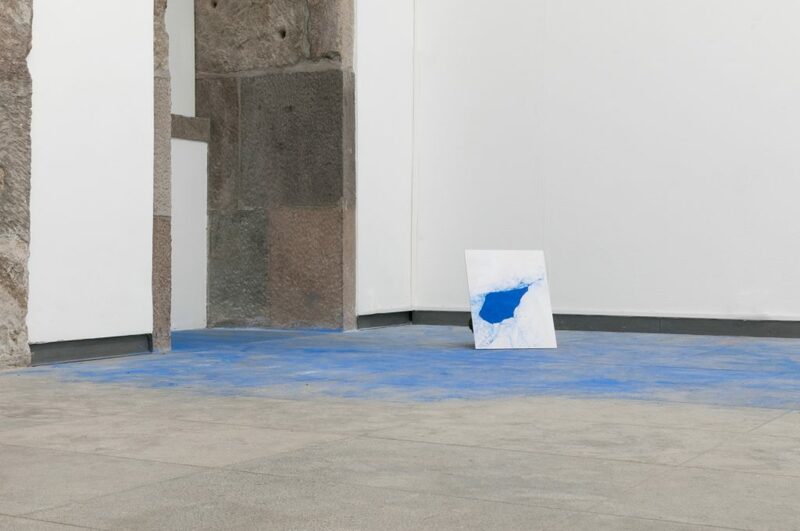 Gabriela Maciel (Brazil) addresses the disappearance of matter in “Imaterical Blue.” What remains is a floor of blue pigment – a result of two weeks of performative work with linen. In the same line of thought, albeit in contrast, the work of Patric Sandri (Switzerland) reveals a precise chromatic study through the exclusive and minimal use of primary colors. 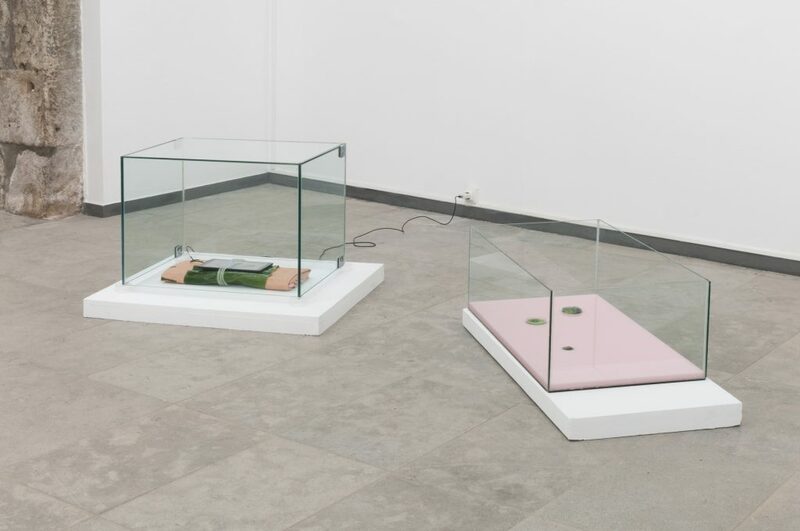 Taking advantage of the characteristics of the museum space, the artist creates a site-specific work and uses painting as a starting point for the disappearance of matter. The painting is there, but it is not directly visible – as matter, it is hidden from the viewer and becomes a reflection of light and color, questioning the perception of artificial light and the whole notion of painting as matter. Maurizio Vicerè (Italy) uses video and sound to dismantle representation. The visible image of fog becomes non-visible, non-representational, and sound offers the only possibility of reaching any notion of reality. Paulo Ávila Sousa from the Azores – one of the organizers of this laboratory – experienced the view foreign artists had of his own island. This process allowed the artist to revisit his own impressions of the sublime tectonic factors that characterize the volcanic archipelago. 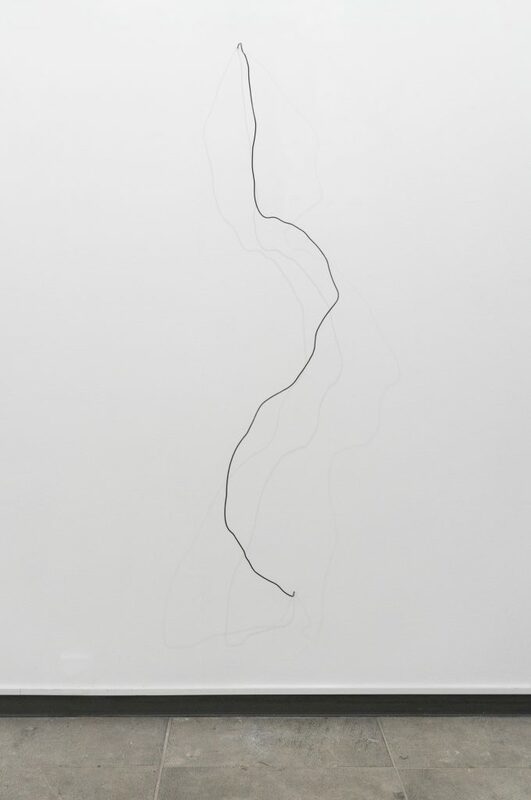 Ávila Sousa translated these perceptions into a minimal and ethereal work – a vertical seismic graph – whose shape against the wall diffuses the immateriality of shadows – the constant past, present, and future movements of the earth’s own activity. Touching similar grounds, ‘Magma Metadata’ by Paulo Arraiano (Portugal) is a hypnotic animated gif displayed on a vertical LCD screen. 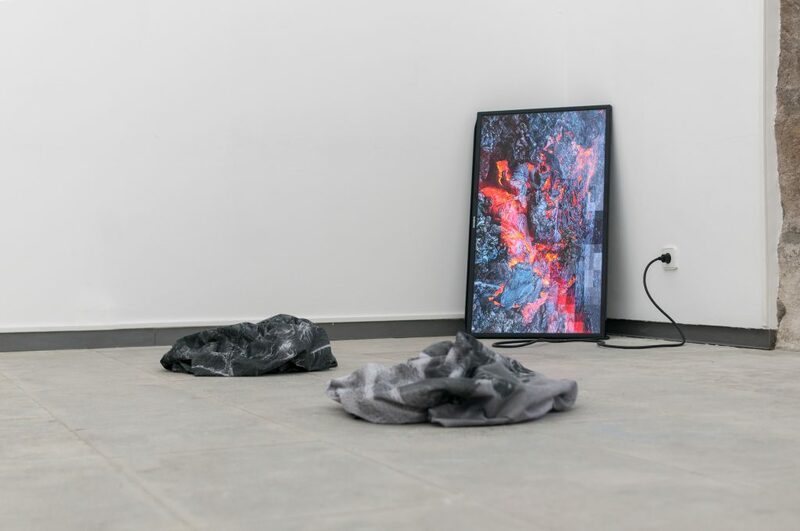 The artist poetically addresses the idea of the world’s bloodstream as lava – a continuous and rapid scrolling of images of flowing lava from volcanic explosions around the world is disrupted and pixelated – just as our own flow of visual information is disassembled when scrolling through social media. “The offer” was perhaps one of the most personal and moving works of the show, and the reason is that Gioia di Girolamo (Italy) developed her practice (which delves around ideas of body, skin, and physical comfort and discomfort) in a very intense and ritualistic manner. The artist offered her own body to the island, tattooing herself for the first time. Di Girolamo took a mark of the island with her, carrying on her skin depictions of symbols supposedly inscribed in nature by the previous cultures that inhabited Terceira, and in return she made “The offer.” It consists of a fabric with a print of her own skin and a video on an iPad of the tattooing process, wrapped in a banana leaf and a tourniquet (a contemporary reference to the offering rituals). Inevitably, we must adapt to contemporaneity and we must scroll down or swipe screens everyday in order to not be alienated or even to not become aliens of our own culture. Here, again, through A.R.M. you receive the virtual image of a photograph that was taken in a real space. At this time, we can only share images and words, which are the artificial (virtual) experience of a place where time slowed down and the body lived with nature. The enigma of livingness remains forever in that living moment and lives forever in the symptom – the work. Re_act Contemporary Art Laboratory was an experience that could happen only because of a virtual interchange of images and words on social media, and we believe this was the first of many editions of the project. 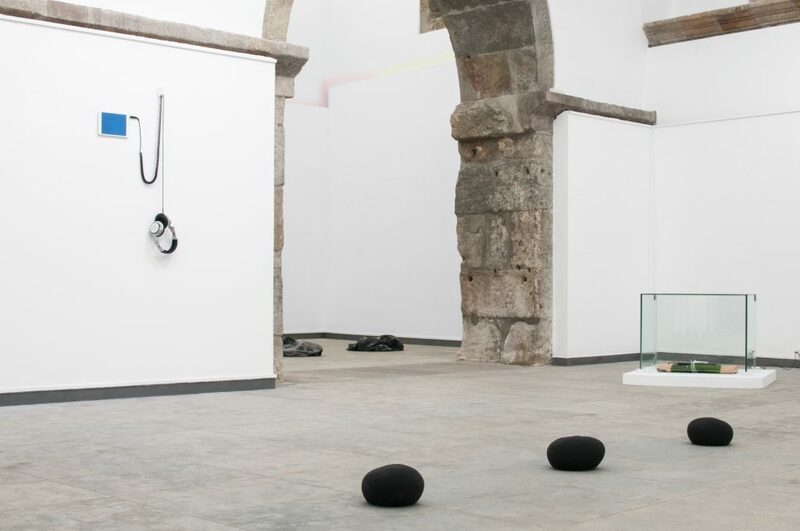 Re-Act Contemporary Art Laboratory ‘Matter/Non Matter’ Installation view at MAH, Terceira, Azores, 2017. 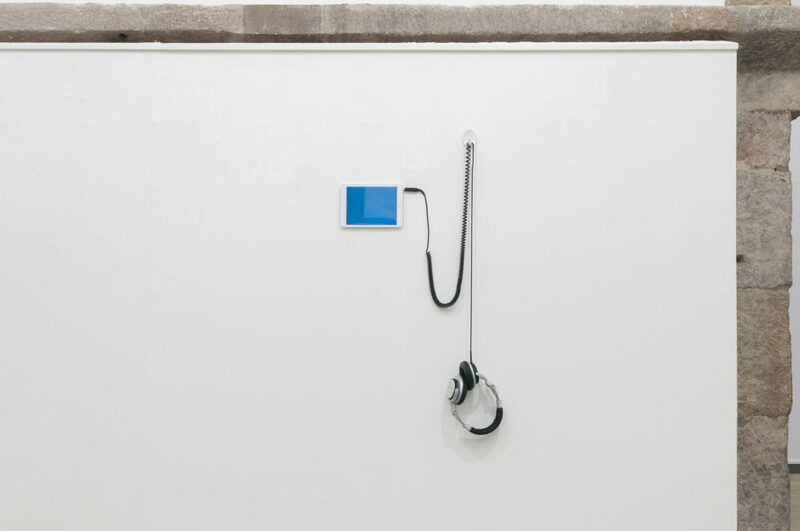 Paulo Arraiano ‘Magma Metadata’ / Re-Act Contemporary Art Laboratory ‘Matter/Non_Matter’ Installation view at MAH, Terceira, Azores, 2017. 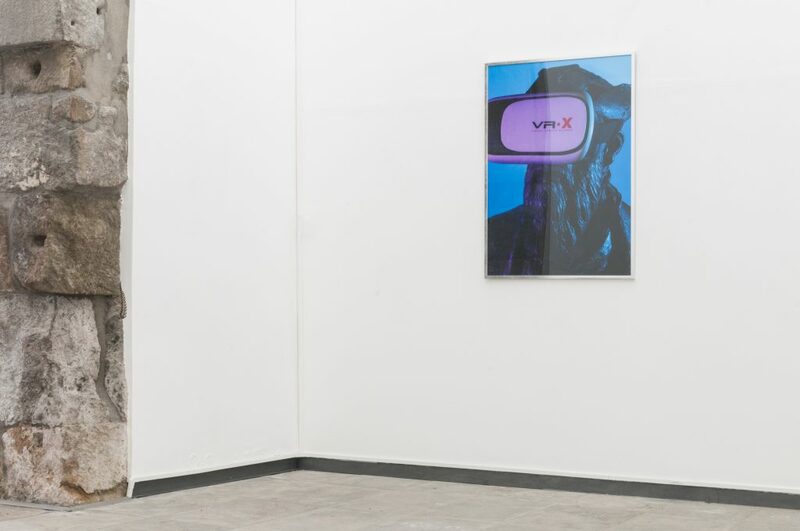 Ivan Divanto ‘Pov’ / Re-Act Contemporary Art Laboratory ‘Matter/Non_Matter’ Installation view at MAH, Terceira, Azores, 2017. 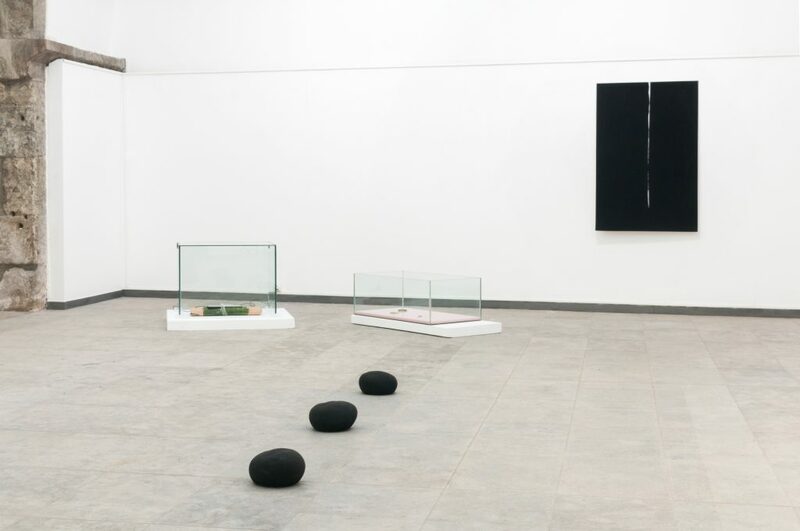 Paulo Ávila Sousa ‘Untitled’ / Re-Act Contemporary Art Laboratory ‘Matter/Non_Matter’ Installation view at MAH, Terceira, Azores, 2017. 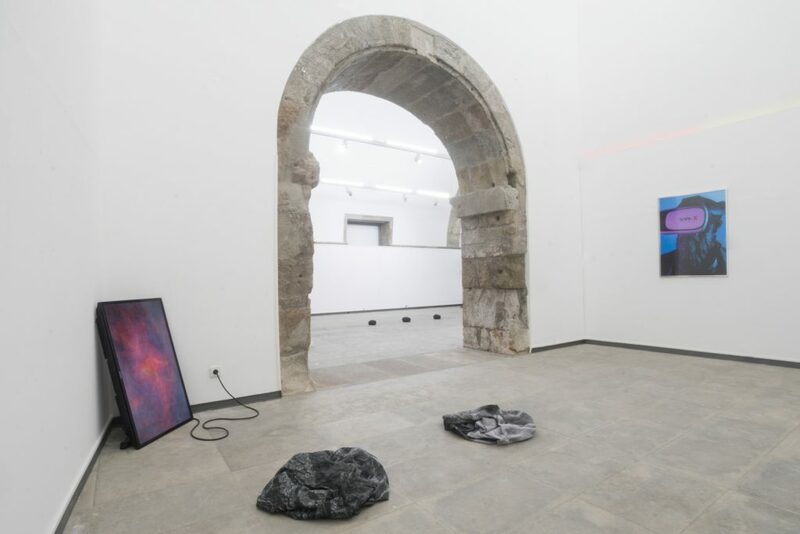 Antonio Bokel / Re-Act Contemporary Art Laboratory ‘Matter/Non_Matter’ Installation view at MAH, Terceira, Azores, 2017. 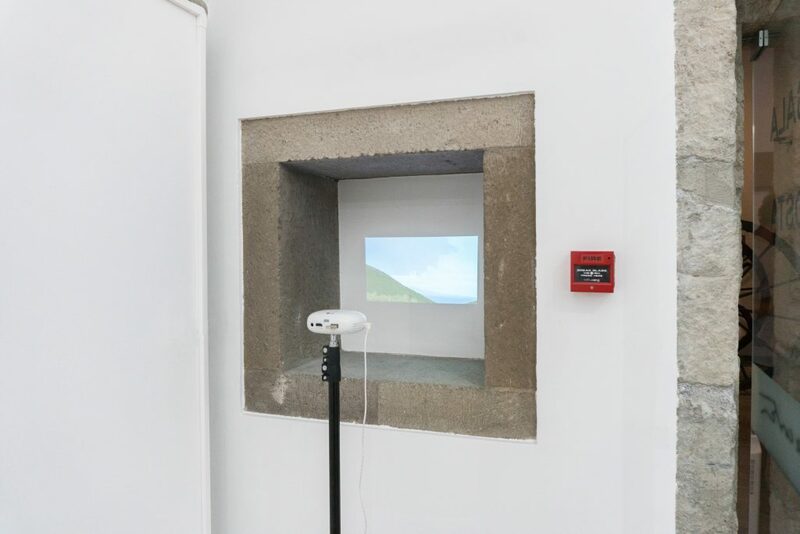 Maurizio Vicerè ‘Fog’ / Re-Act Contemporary Art Laboratory ‘Matter/Non_Matter’ Installation view at MAH, Terceira, Azores, 2017. 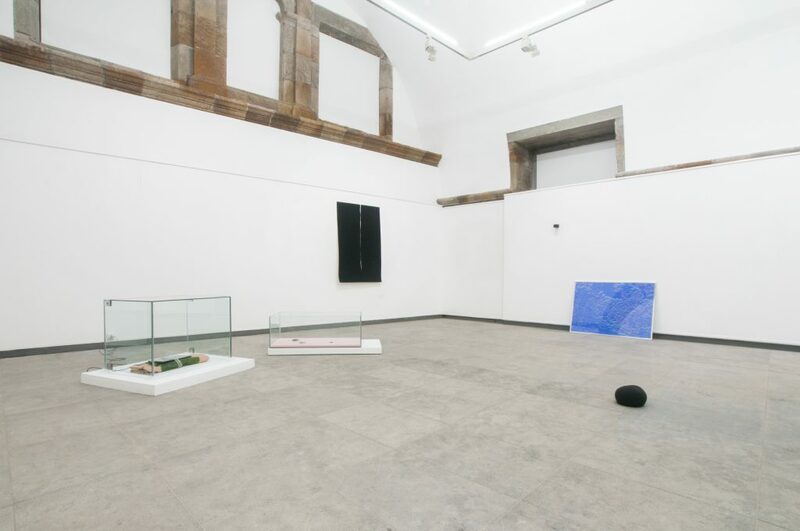 Re-Act Contemporary Art Laboratory ‘Matter/Non_Matter’ Installation view at MAH, Terceira, Azores, 2017. 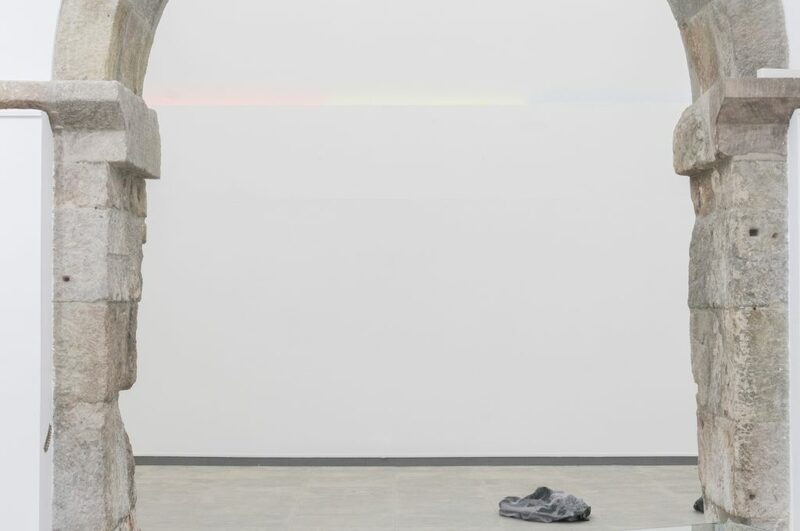 Patric Sandri ‘Composition with Red, Yellow and Blue’ Re-Act Contemporary Art Laboratory ‘Matter/Non Matter’ Installation view at MAH, Terceira, Azores, 2017. 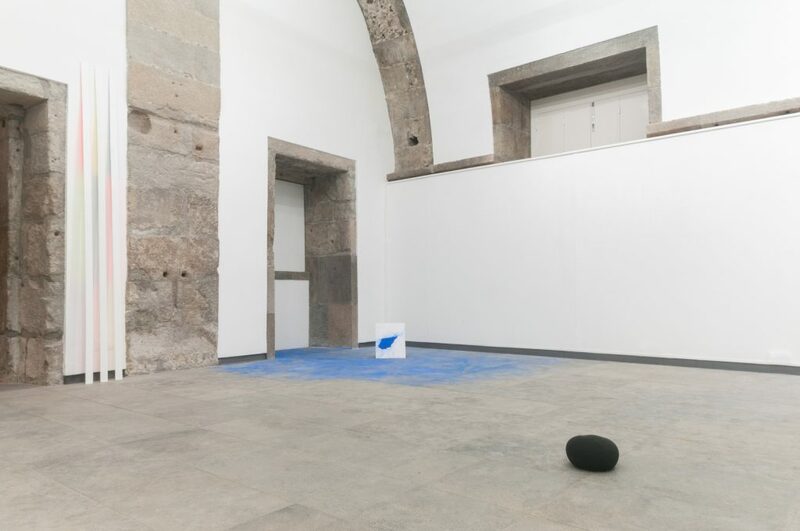 Gabriela Maciel ‘Imaterical Blue’ / Re-Act Contemporary Art Laboratory ‘Matter/Non_Matter’ Installation view at MAH, Terceira, Azores, 2017. 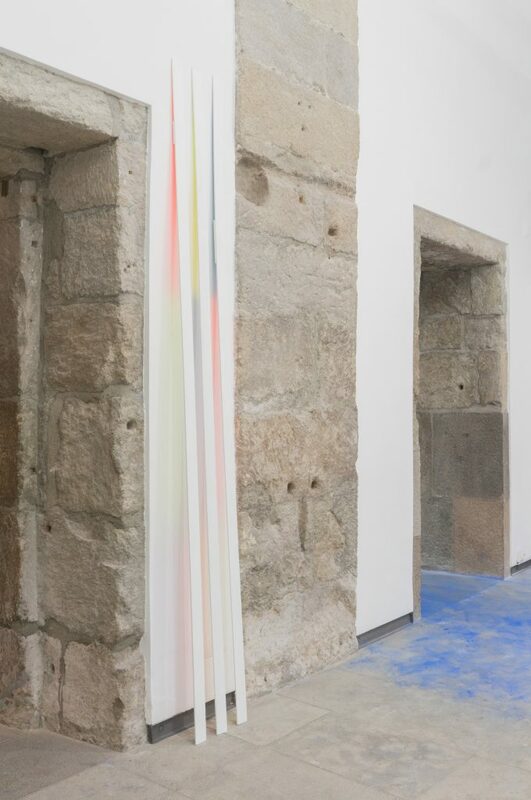 Patric Sandri ‘Composition with Red, Yellow and Blue’, Re-Act Contemporary Art Laboratory ‘Matter/Non Matter’ Installation view at MAH, Terceira, Azores, 2017. 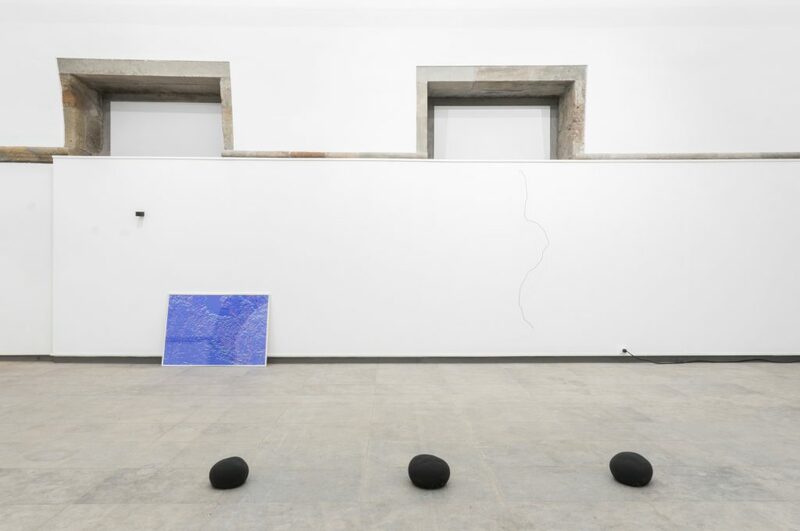 Gioia di Girolamo / Re-Act Contemporary Art Laboratory ‘Matter/Non_Matter’ Installation view at MAH, Terceira, Azores, 2017. Gioia di Girolamo ‘The Offer’ / Re-Act Contemporary Art Laboratory ‘Matter/Non_Matter’ Installation view at MAH, Terceira, Azores, 2017.